Billy C. King 83 of Abilene passed away Saturday March 30, 2019 at his home. Funeral Services will be held Saturday April 6, 2019 at 11am at the King Solomon Baptist Church located at 1050 Minda LN. (Corner of South Judge Ely and Minda Ln). Visitation will also be held at the Church Friday from 6-8pm Services entrusted to Dove Funeral Home. 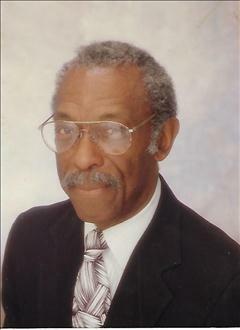 Billy C. King was born in Ladonia, TX on March 28, 1936, into the marriage of Curtis J. and Estelle H. King. He was preceded in death by his parents Curtis and Estelle, his sister Peggy Joyce Hall daughter Deborah Ann King Wilson, and two aunts, Helen and Lula Belle Enox. In the early 1940’s, Billy and his family moved out west to Breckenridge, TX. After he graduated from Booker T. Washington in 1954, he joined the United States Air Force where he served for 20 years. In 1955 Billy married his childhood sweetheart Freddie S. Moss. Out of that marriage were born four daughters; Deborah Ann, Tanya Jo, Angela Renee and Carla Kay. After retiring, Billy sought out many challenges of things he wanted to do. Some he accomplished and some he did not. Billy graduated from McMurry University in 1976 with a degree in Business Administration. He was hired as a bank teller with Citizens National Bank of Abilene and held this position until his promotion to Teller Manager and Consumer Loan Officer for five years. He later became an analyst with the City of Abilene’s AEDC Corporation. Billy was a member of Williamson Chapel CME church in Breckenridge, TX where he served as Recording Steward and remained there until he moved to Abilene later in life. He became a member of Antioch CME church and this is where he met and married his current wife Melva Jean Sledge in 1988. While at Antioch, Billy held the positions of Recording Steward, Local Lay President and District Lay President. Later Billy served as Lay President of Bethel AME Church in Abilene, TX until his death. Billy started his own business in April of 1988 with the support of his wife Melva. One of his main goals other than becoming a self-owned businessman was to become a professional bowler. He joined the ranks of professional bowlers in 1990 and remained so until health reasons prohibited him from continuing his dream. In 1985, Billy became a member of the Abilene Black Chamber, he served as the Treasurer for 30 years and was on the board for the annual Martin Luther King Banquet. To send flowers to the family of Billy Clyde King, please visit our Heartfelt Sympathies Store. ← Jimmy Lee James Sr.